Darren Till seems game to fight Jorge Masvidal in London. The UFC will be returning to London, England’s O2 Arena on March 16th for UFC on ESPN+ 5. BJPenn.com has reported that the UFC would like Till to headline the card opposite former interim welterweight champion Colby Covington. However, Covington and the UFC are currently at odds, so other arrangements will likely need to be made. Masvidal took to Twitter earlier and volunteered to fight Till in London. “Gamebred” was previously slated to fight Nick Diaz at UFC 235 on March 2nd. But those plans have now been scrapped after Diaz has refused to fight. Masvidal is itching to get back into the cage, as he hasn’t fought since November of 2017. After receiving the challenge from Masvidal earlier today, Till has issued a response. 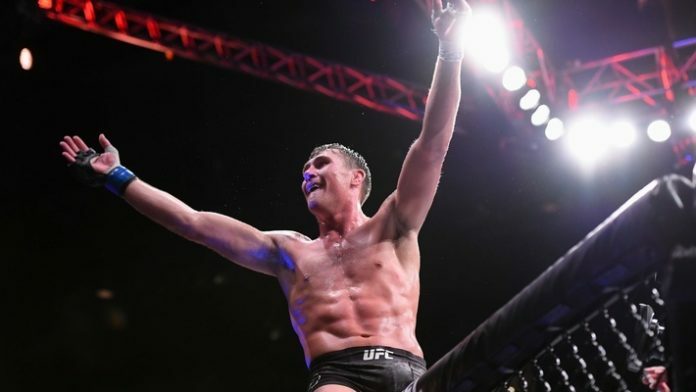 Till comes off a submission defeat to Tyron Woodley in September, as he challenged for the 170-pound championship. The defeat marked the first of the Englishman’s career. While there was some speculation he could jump up to middleweight, it looks like Till will try another run at welterweight. What do you think about a possible fight between Till and Masvidal in London?